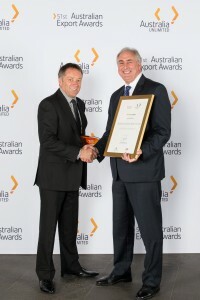 Tasmanian Quality Meats took out the Australian Regional Export Awards 2013 at the gala event held at the National Galley of Victoria on 26th October 2013. John Talbot (Director) attended this event and accepted the award on behalf of TQM. 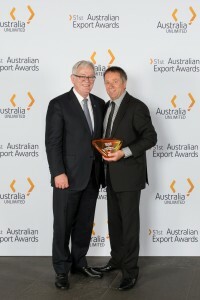 A special appreciative note to QANTAS who sponsored this years National Regional Export Awards. John Talbot, Director at TQM, with Federal Trade Minister, Andrew Robb. John Talbot, Director of TQM, and Mitchell Wild, Head of Customer Service and Sales at Qantas.